Shakespears Sister are to re-release last years album 'Songs From The Red Room' as a special 2 disc deluxe edition on April 26th 2010 via Cargo records. 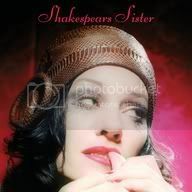 The album is a limited edition and is to coincide with the Shakespears Sister 2010 tour. Anyway it's being released, those that want it will buy it those that don't won't.